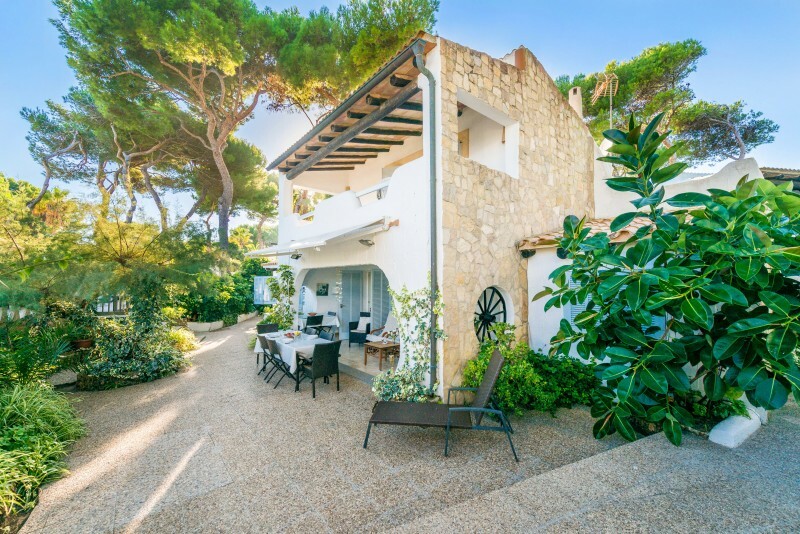 The outdoor areas are well-kept and pretty: spacious garden areas, a furnished terrace, a second terrace on the 1st floor, a porch and a great BBQ. 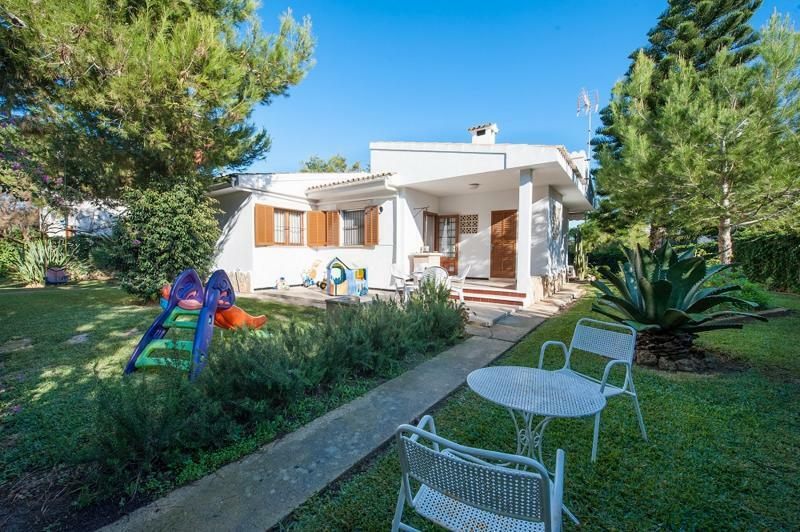 The 145m2-sized house is divided into 2 floors and features 4 bedrooms (a conditioned double bedrrom on the ground floor, a double and two twins on the first floor; one of them is air-conditioned). There are 2 bathrooms with a bath tube (one is on the 1st floor and the other is on the ground floor). A crib and a baby chair can be provided upon request. A cozy living-dining room is furnished with two comfortable sofas where you can spend quiet hours after the beach watching a satellite TV or reading your favourite book. A dining corner has enough space for 8 guests. A totally equipped kitchen is equipped with a gas oven and has all the necessary cooking utensils. You will find also a washing machine and an iron with an ironing board. 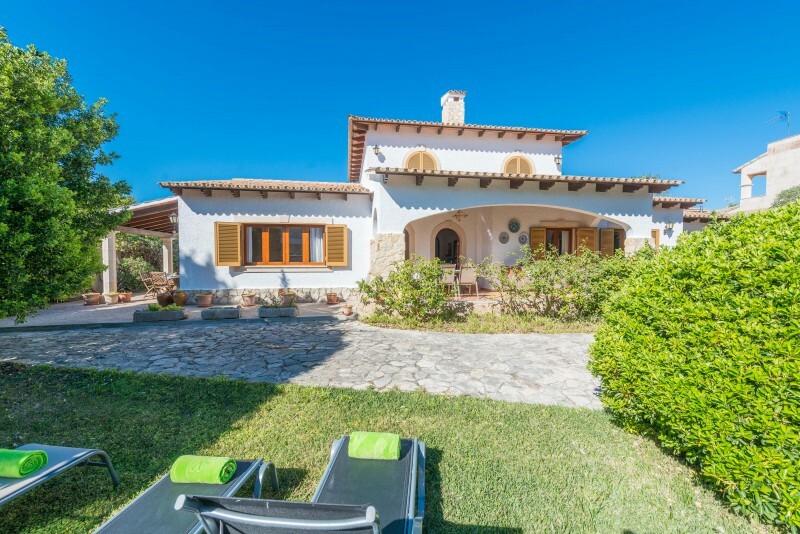 The house is located not far away from the main road with an easy access to all the island corners. Beach lovers will enjoy the vacation the most. The beach is famous for its transparant water and is suitable for kids. 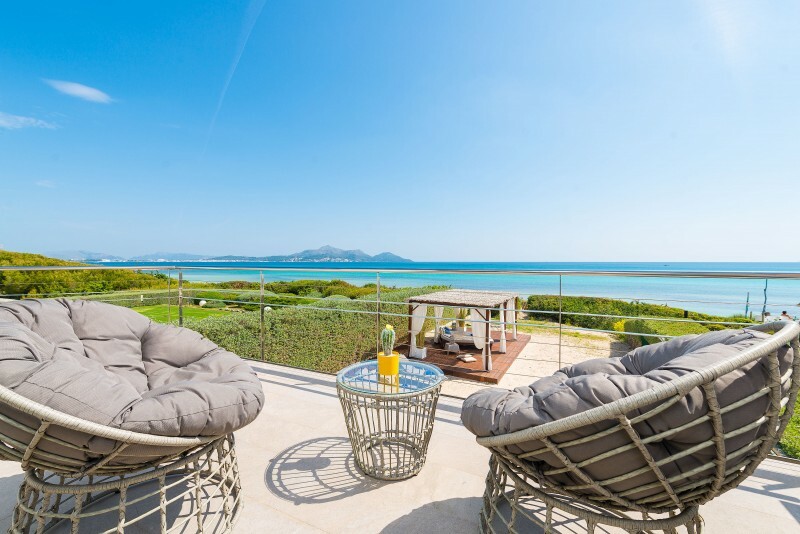 From Playa de Muro you will easily reach Can Picafort or Port Alcudia. To have a car is advisable but not necessary. Every 15 minutes a local bus runs to Port Alcudia, Port Pollenca or Palma. In Puerto de Alcudia you will find lots of restaurants with any kind of food, clothes shops, souvenirs shops and supermarkets. The biggest one is located on the road towards Alcúdia, near a patrol station. You will love to visit the old town of Alcudia with its narrow cobblestone streets, the church and the old wall. In Alcudia you will find lovely bars to stop for a drink. There is a local market in Alcudia on Thursdays and Sundays and the centre of town becomes crowded and lively. Don’t forget to visit the Roman ruins where you will be able to see a beautiful amphitheatre. 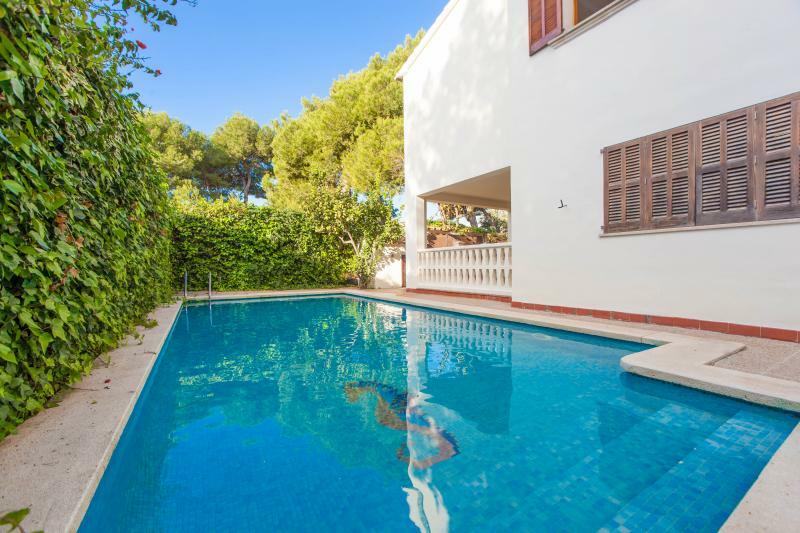 This apartment is ideal if you are looking for a holiday near the beach in one of the most visited areas of Mallorca! We had a really nice stay at the appartment and it offers everything you need to enjoy your holiday. located just 3 minutes away from the beach, it is perfect for a beach holiday.